Gloomy, claustrophobic and haunting, Richard Ayoade's second film, The Double, has been described by some as a dark comedy, a label that leaves Ayoade scratching his distinctive head. "Calling it that is important for sales purposes, I suppose," he says quietly, sitting in a conference room in midtown Manhattan. "I just say, 'Here's the film.' I don't know how you'd sell Dostoevsky's work. But then sales are the last thing on my mind when I'm deciding if I like something. Even if I did think commercially, I don't know if that would work." He pauses, then adds deadpan, "I would never be professionally engaged to do sales, I think." The Double, which opened in limited theatrical release and on-demand earlier this month, is the second film from Ayoade (pronounced EYE-oh-AH-dee), who found popularity playing outlandish characters on such British comedy series as The IT Crowd and Garth Marenghi's Dark Place. 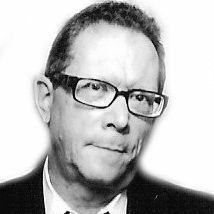 He has worked almost exclusively in comedy since first joining Footlights at Cambridge University, where he teamed up with fellow student John Oliver, even as he studied law. His first film as a director adapted the comic coming-of-age novel, Submarine, by Joe Dunthorne. But he couldn't resist the creepy prospects of The Double. 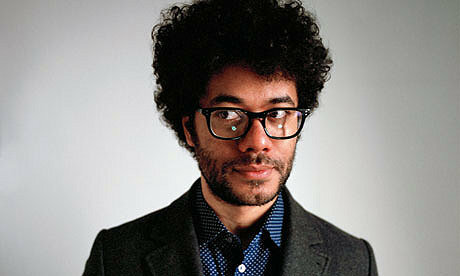 "What I liked was the extraordinary central premise," says Ayoade, who will be 37 in June. "Here is someone so unnoticeable that he is slowly replaced by his doppelganger. But his problems are met by no interest whatever from the people he works with. It seemed both funny and sad. And it shows that how we see ourselves is not how others see us." Still, even after his success in British television and with Submarine, Ayoade wasn't sure he would get the chance to make another movie, let alone one as original and dark as this one. "Every time I direct something, I don't think I'll ever get to do anything again," he says.